Your bounce rate is the number of people who came to your site and only looked at one page before they left, or “bounced”. You can use an analytics tool to easily identify these pages in order to improve and optimize them. 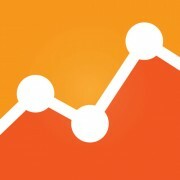 To find this data in Google Analytics, click on the “Content” link, and drill down to the “Top Landing Pages” report. From there, sort the list by “Bounce Rate” to find out which of your pages need improving. Simply viewing the bounce rates in the “Visitors” section isn’t as valuable since it doesn’t provide us with many actionable metrics. The goal here is to improve page quality and we need to find the data that will help us to do that. In the screenshot above, you can see that quite a few users are bouncing off of the “Portobello Mushroom Lasagna” page on my cooking blog. It’s one of my top landing pages this week, yet 90% of my visitors leave after viewing it! The typical bounce rate is 30%. I value each one of my visitors and I want them to be engaged, so what can I do to improve their experience? Well, to start off, I could segment the visitors to find out where the traffic is coming from. If I drill down to the content details of the page and view the entrance sources, I can see that most of my traffic is coming from Google image searches. From this I can infer that people are searching for recipes (based on their intent). Maybe I need to reevaluate whether the photo is of high enough quality (it is not). Looking at the entrance keywords, I discover that people are finding the page using “Portobello” as their search word, so perhaps I should link to other recipes that contain Portobello mushrooms to keep them engaged (or I could add a “Similar Recipes” feature). Since they are on the page because they want a recipe, maybe I should create a printer-friendly version of the content so I can get my URL in front of them again after they print it out (and from there I can measure visitor loyalty and returning visitors). I could also encourage them to bookmark it on delicious.com and then measure increased referrals. That being said, it is important to realize that you can’t always keep people from leaving your site. Sometimes you’ll receive unqualified traffic from a referrer and the visitor just isn’t interested in what you have to offer. Some people have short attention spans and they come and go in the blink of an eye (maybe your headlines aren’t compelling enough). But it could also mean your PPC campaigns aren’t working (you’re bidding on ineffective keywords) or that your page is optimized for the wrong keywords. Always remember that every page on your site is your “home page”. You never know how, or where, a visitor will end up entering your site. That’s why its important to not only measure the bounce rates at the site level, but at the page level, too. Treat all your pages on your site with as much care as you treat your main homepage. The lesson here is that it only takes a little bit of data to gain many valuable insights into user behavior. Use this data to improve every page and get visitors to take a deeper dive. The goal is continuous improvement. http://blog.pixelpunk.com/wp-content/themes/pixelpunk/images/logo.png 0 0 pixelpunk http://blog.pixelpunk.com/wp-content/themes/pixelpunk/images/logo.png pixelpunk2009-06-23 08:24:472009-06-23 08:24:47What's Your Bounce Rate? Using an analytics package like Google Analytics or WebTrends can help you get a grasp on how people are using and traveling throughout your site. Are they hitting your home page then immediately bailing? This would be an obvious indication that you have a usability problem. Are they getting you your product pages but not converting to customers? Then your product pages deserve another look. And what about your shopping cart? Analytics can give you a birds-eye view of how your customers are behaving on your site.